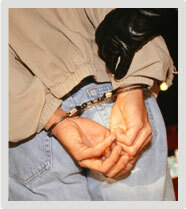 If you have been charged with a crime in South Carolina, you need a lawyer on your side who will fight for you. At the Allen and Allen Law Firm, we protect the rights of people throughout Anderson County and the Upstate who are facing a broad range of criminal charges in both the state and federal courts from murder to traffic violations. Established by Chuck Allen in 1988, our law firm is known for providing experienced, high-quality legal counsel. Josh Allen joined the firm in 2014 bringing valuable experience gained during his time as assistant solicitor in the 10th Judicial Circuit. We are committed to helping our clients minimize the consequences of a criminal conviction, which could include prison or jail time, sizeable fines, loss of your driving privileges and a permanent mark on your criminal record. Even though a majority of criminal cases settle outside of court, having an Anderson criminal defense attorney with courtroom experience will ensure you are prepared if your case goes to trial. Chuck Allen is a skilled negotiator with more than 30 years combined experience representing clients in the courtroom. He approaches each case as if it were going to trial and is fully prepared to aggressively defend your interests in the courtroom. When you work with the Allen and Allen Law Firm, we will thoroughly evaluate your arrest records and other information associated with your case. If any of the evidence was obtained illegally, we will fight to make sure it will not be used against you. You can count on us to inform you of your rights and legal options. We understand the impact that criminal charges can have on your life, both personally and professionally. We will work hard to help reduce the consequences you may be facing. To schedule a consultation, contact the firm online or call 864-226-6184.